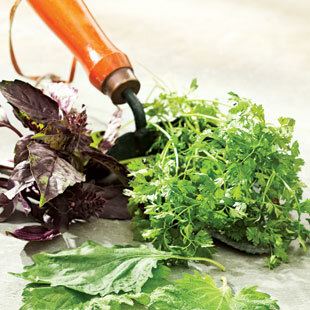 Grow these uncommon herb varieties in your garden to save money and infuse your cooking with unique flavor. You may not find uncommon herbs, such as beautiful purple basil, licorice-flavored chervil or herbal-cinnamon shiso, at your local supermarket, so they’re worth growing in your garden this year. Use them to infuse your cooking with unique flavor: Toss purple basil with salad greens to add color and a taste that’s milder than regular sweet basil. Chervil goes well with fish and eggs; it’s heat-sensitive, so add it toward the end of cooking. Chop shiso with scallions and stir it into rice. Even if you are a novice gardener, it is easy to grow each of these from seed (find seeds at johnnyseeds.com). Joining the estimated 14 million U.S. households that tend their own herb gardens will cost, on average, a mere $30 a year.